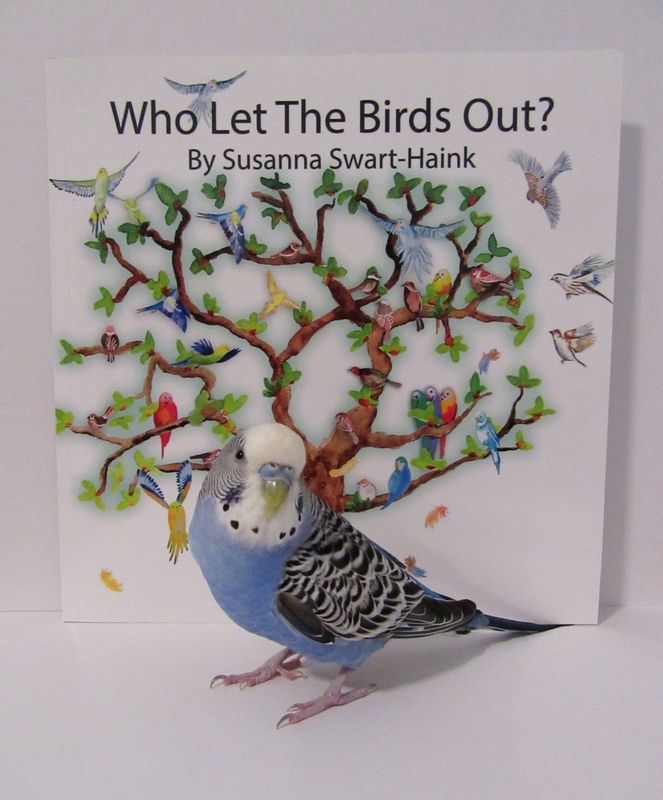 Posted on January 29, 2019 by Michelle M.
This month’s book is Who Let the Birds Out by Susanne Swart-Haink. Sister and brother are busy in the garden when they notice the budgies in the aviary are going wild. What could be causing them to be in such a state? Brother thinks the budgies need to be free, so he lets them out. They settle in a big tree. Jack the dog enters the aviary and begins to bark at something (spoiler alert: invisible [to the human eye] trolls!). 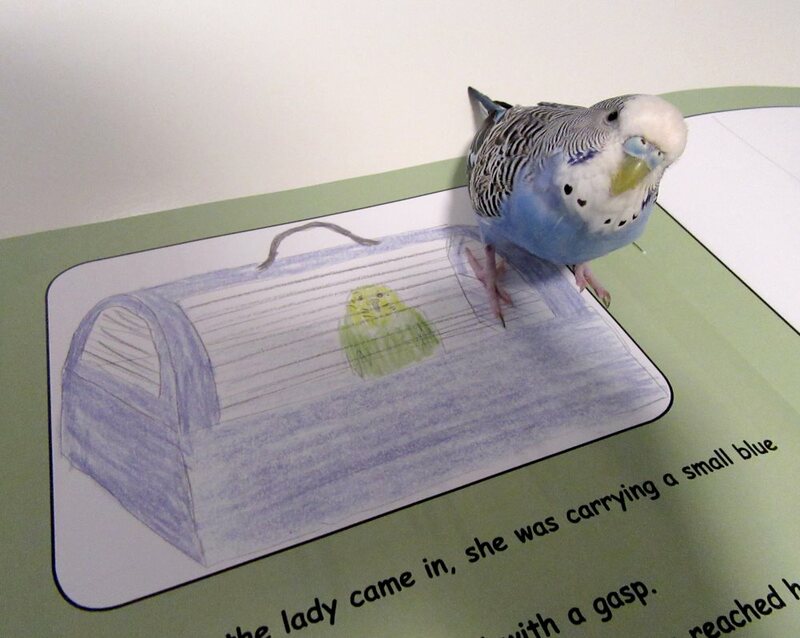 The trolls leave the aviary and the budgies fly back in. Cooper enjoyed this little book. She thought the illustrations were very colorful and interesting. 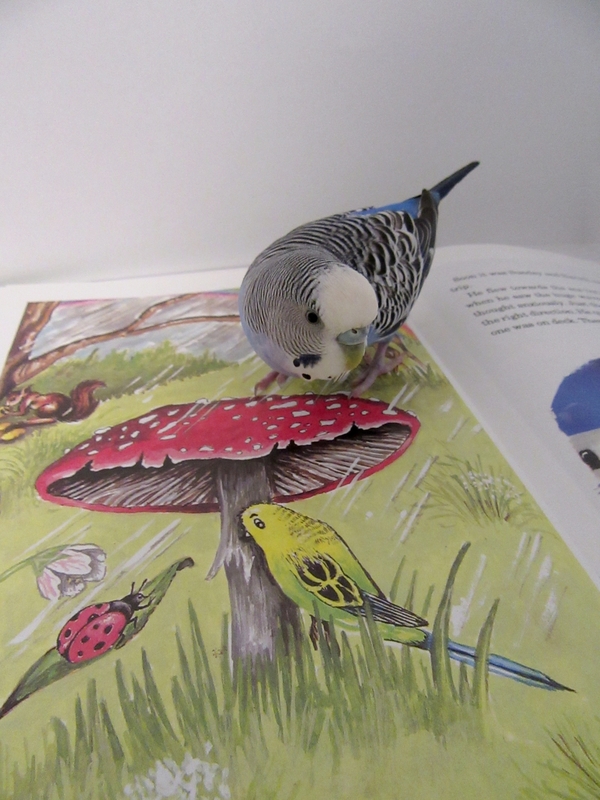 Children can count the many hued budgies and see if they can find the trolls, bees, chameleon, mantis, etc. on the pages. 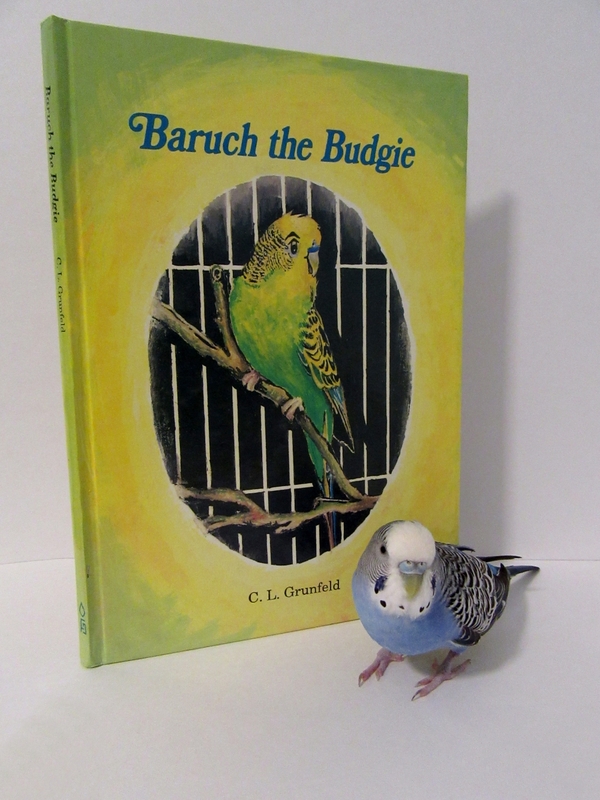 Cooper liked that at the end of the book the budgies were free to enter and leave the aviary as they pleased. 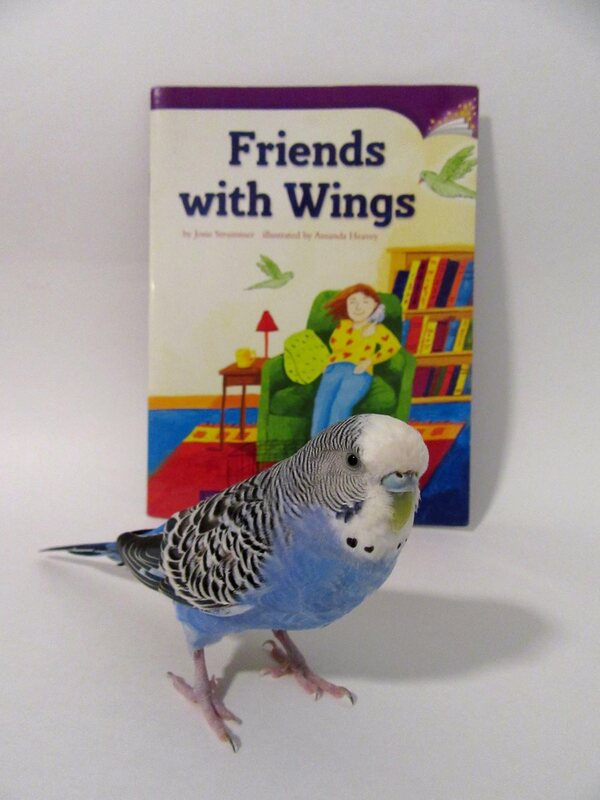 Posted on August 10, 2018 by Michelle M.
This month’s book is Friends With Wings by Josie Strummer. 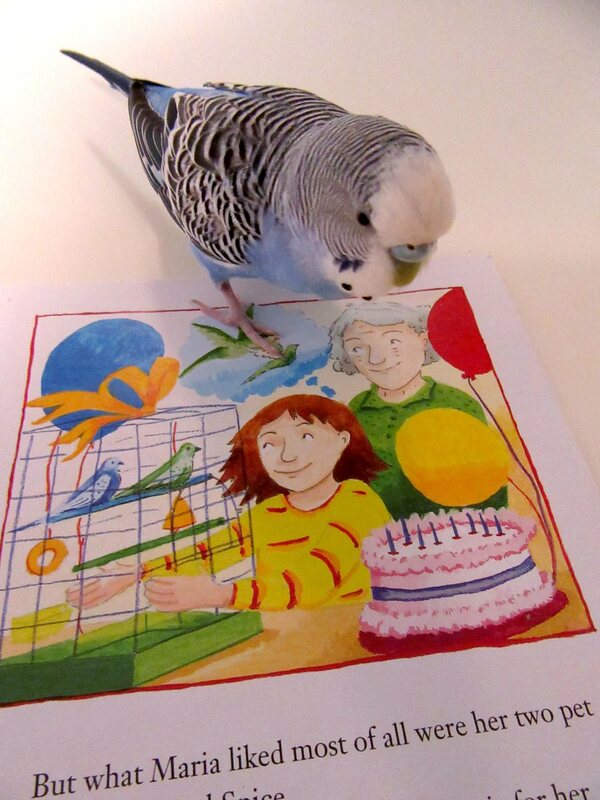 Maria’s 8th birthday present is two budgies she names Sugar and Spice. With her Grandma Nana’s help, she learns how to care for them and teaches them to step up. All is wonderful until Maria’s father accepts a job in another state. 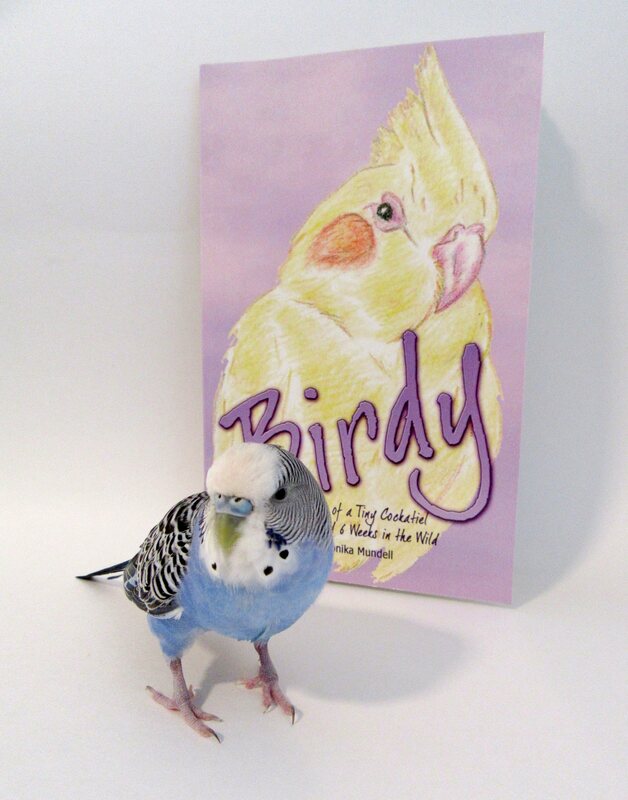 Their new apartment doesn’t allow pets, so Maria must leave her beloved budgies behind with Grandma Nana. 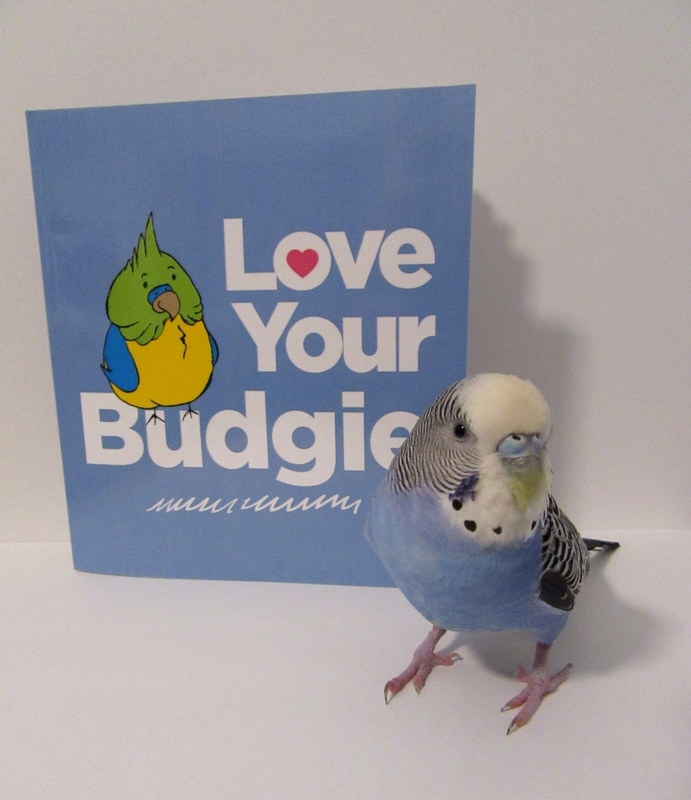 Maria misses her budgies. But Mr. Binter, the building superintendent, teaches her about the neighborhood birds and even lets her help fill the birdfeeders. Maria enjoys watching the birds, especially the two wild green parrots who look like large versions of her budgie, Spice. She names her new friends with wings Salt and Pepper. Cooper enjoyed this book. 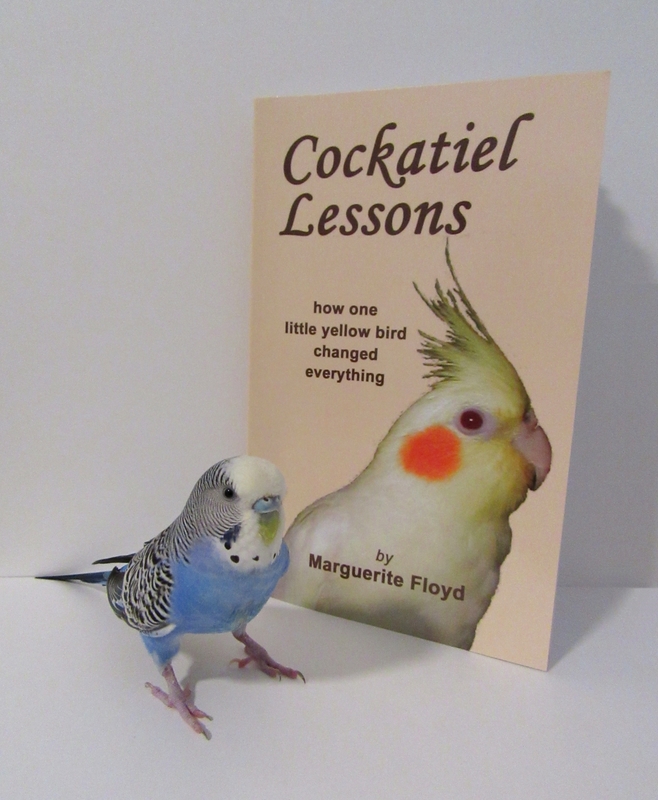 She was sad that Maria had to leave her budgies behind, but was happy that Grandma Nana was there to look after them. She also liked the brightly colored illustrations (by Amanda Heavey).This book teaches young readers new vocabulary as well as giving them vocabulary and writing exercises to do. 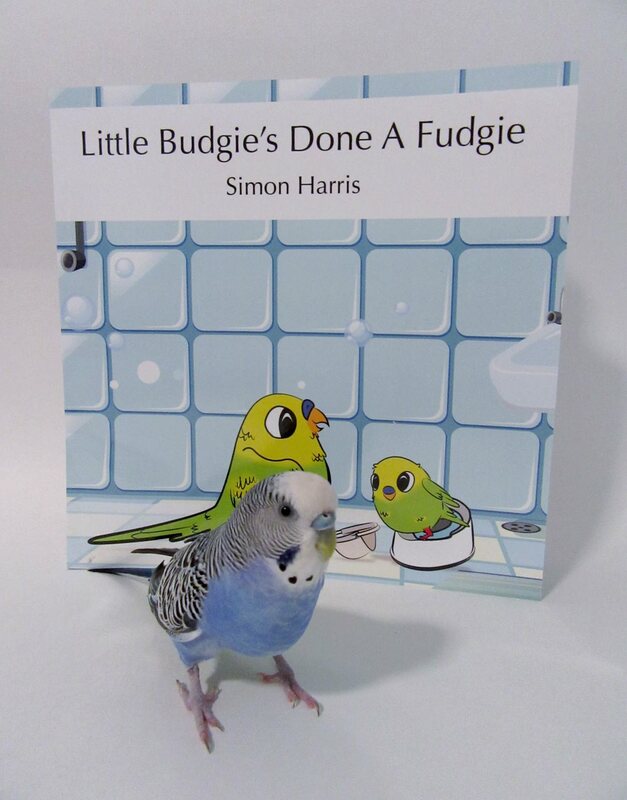 Posted on July 25, 2018 by Michelle M.
This month’s book is Little Budgie’s Done A Fudgie, by Simon Harris. 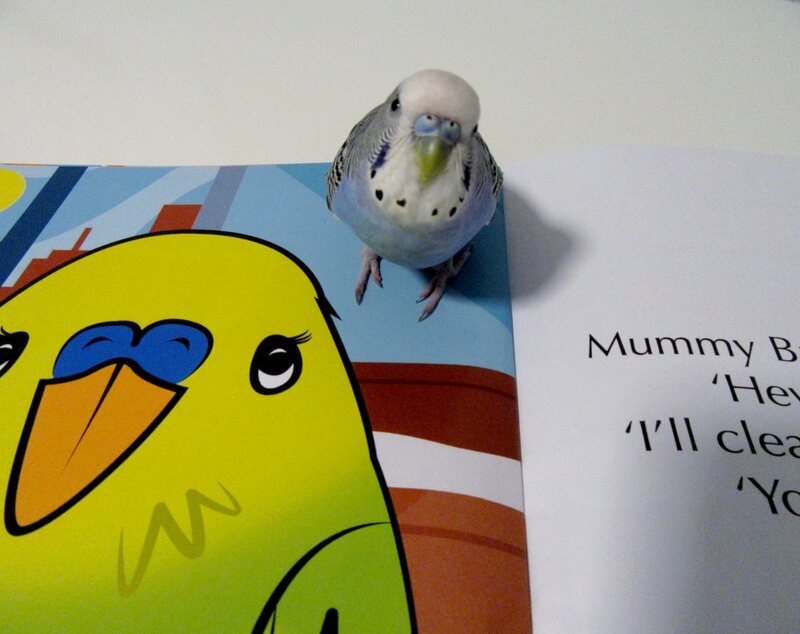 Mummy Budgie decides it’s time for Little Budgie to give up his nappy and use the potty. But potty training is tricky. 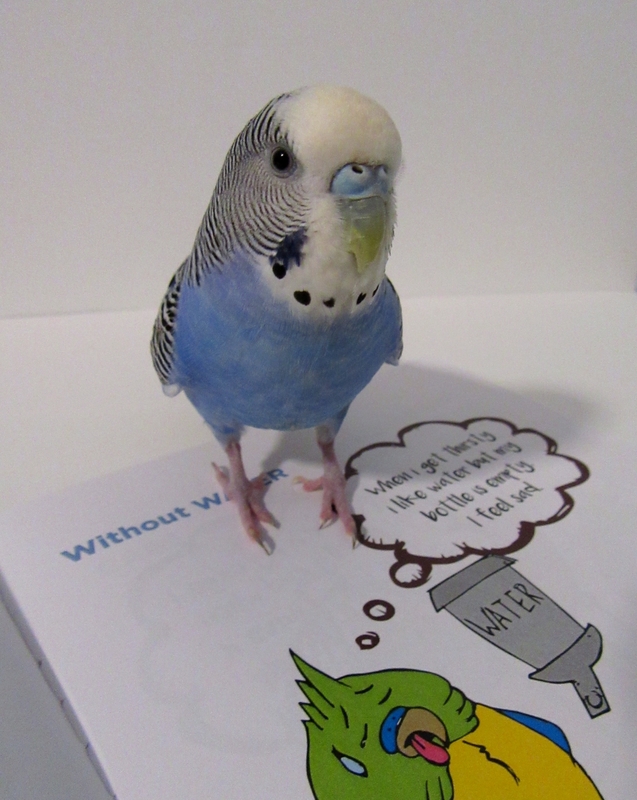 Will Little Budgie get the hang of it? Cooper thought this book was funny. 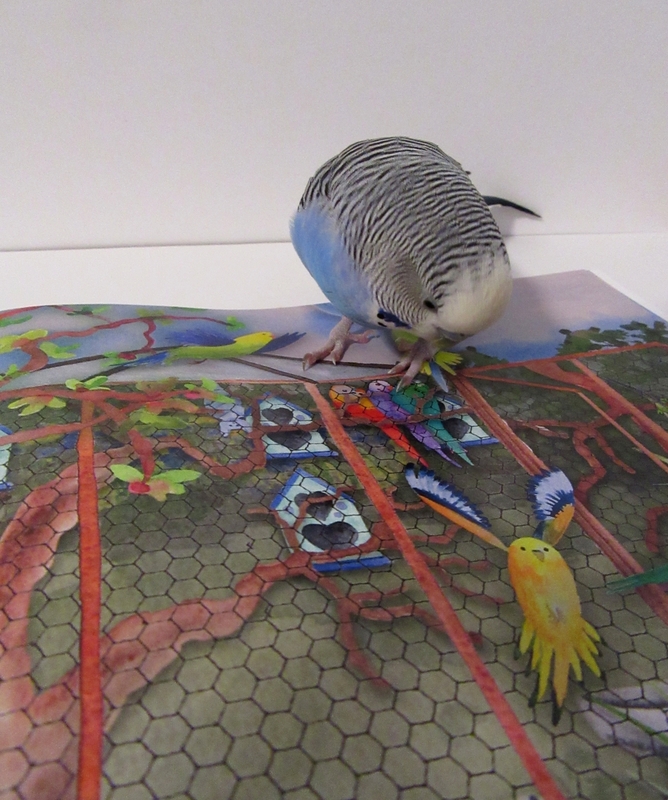 She loved the brightly colored illustrations (by Sethmyr Eslit). She liked that Mummy Budgie was so encouraging and that Little Budgie got a reward (special seed) for going in the potty. She thinks this is a great book for little ones who are potty training. Special thanks go to Kelle and John who sent this book for Cooper to review. 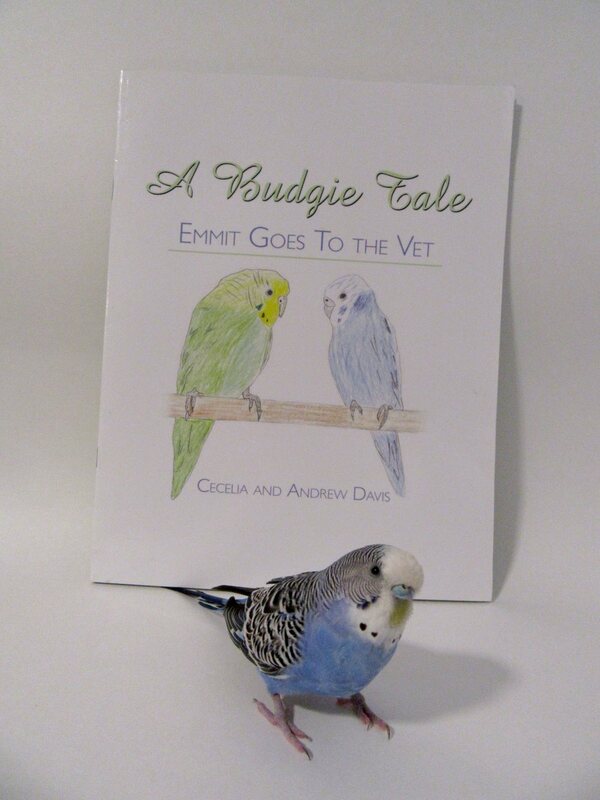 Posted on May 29, 2018 by Michelle M.
This month’s book is A Budgie Tale, Emmit Goes to the Vet, by Cecelia and Andrew Davis. Emmit is not feeling well. She has a tummy ache and does not want to play with her friend Rascal. When her human comes in to let the girls out to play, she notices something is not quite right with Emmit. She puts Emmit into a small blue cage, and off to the vet they go. Cooper is very familiar with vet visits, so she knew that Emmit was in good hands. Sure enough, after a dose of an unpleasant tasting yellow liquid, Emmit was back to herself and ready to play with her friend Rascal. Cooper likes that Emmit’s owner took her to the vet as soon as she noticed Emmit was sick. She was very happy that Emmit recovered quickly. 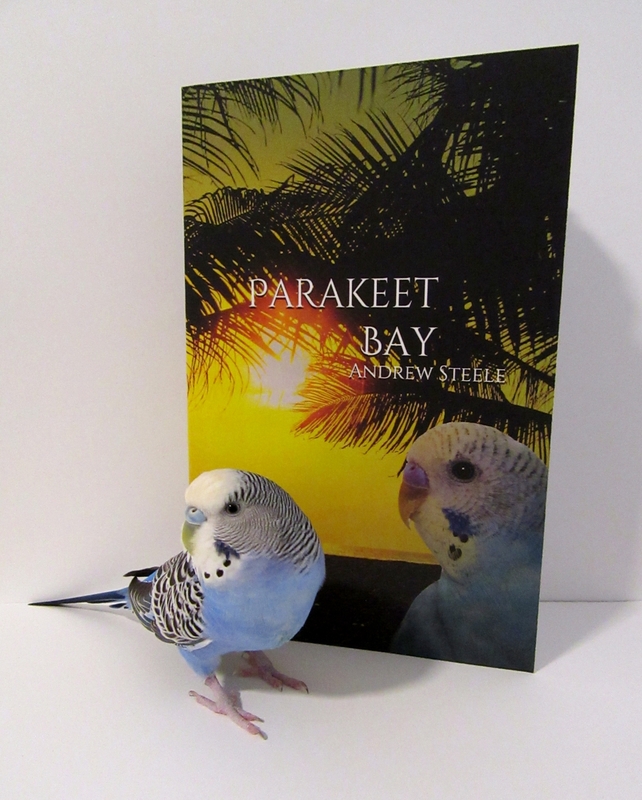 She enjoyed reading about the author on the back cover – that husband Andrew was not a bird lover until he got to know Cecelia’s budgies, Emmit and Rascal. 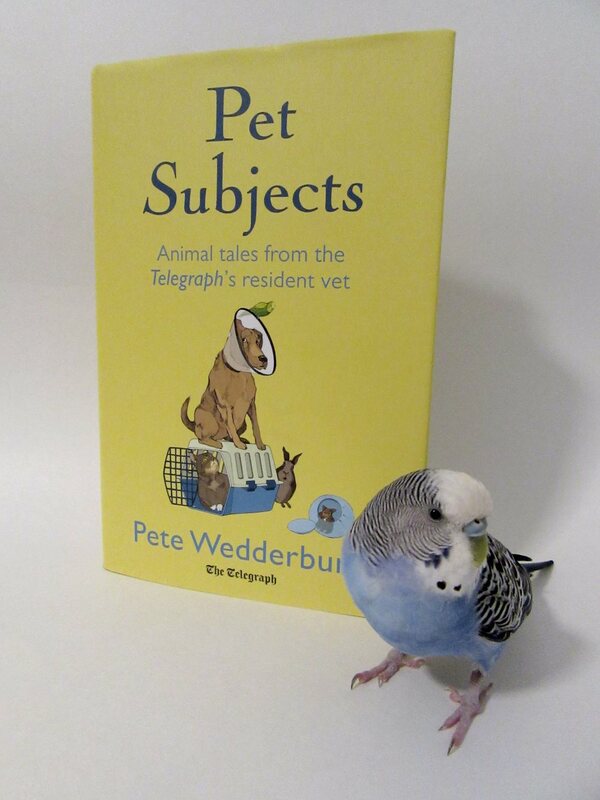 Now he has his own birds, Clementine and JD (he even did the illustrations for the book).